MRVTV offers a number of sponsorship opportunities on our TV and digital platforms. These sponsorships support our operating costs and link your business with an organization that provides valuable services to community members and others around the country. Social media data, website viewership information and guidelines for acceptable messages are listed at the bottom of this page. Packages are for 12 months and invoices will be sent on a monthly basis. A 5% discount on package pricing is available if full payment is made at the start of a sponsorship. Receive another 10% off if you purchase both a TV and digital package. Please contact us if you have any questions or are interested in being one of our sponsors. As one of our TV sponsors your message will be broadcast in high-definition (HD) and you will be associated with a pioneer in public access TV, as MRVTV is one of the few public access TV stations in Vermont and the entire US to broadcast in HD. 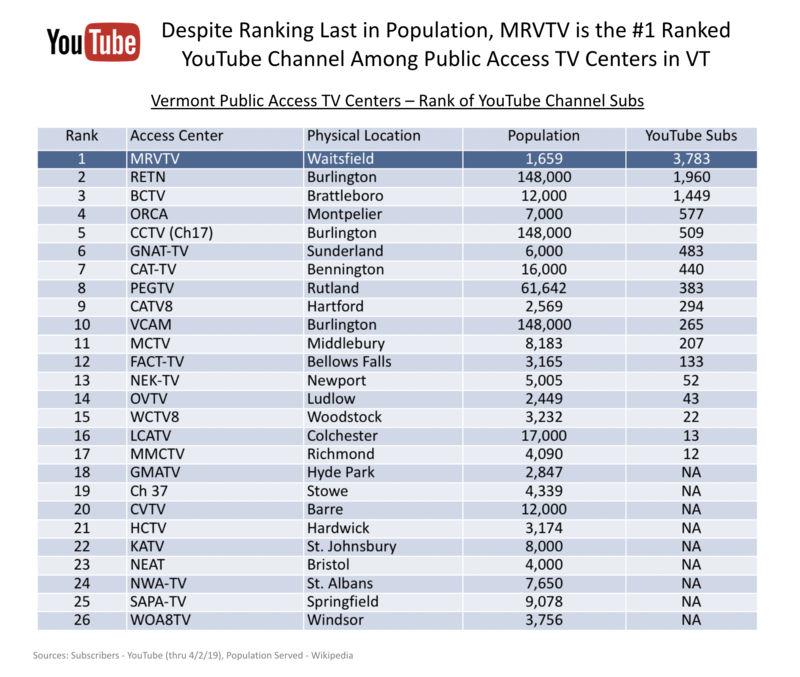 MRVTV is available to 2,400 homes that subscribe to Waitsfield Cable. Your logo and copy will appear for 20 seconds as a “static” ad several times a day on MRVTV’s standard-definition (SD) and high-definition (HD) TV channels. An example of a bulletin board can be found here. A 10-15 second ad will appear before all town Select Board & School Board meetings we broadcast on our SD and HD channels. The ad can be a “static” ad with your logo, copy and a voice over or it can be a video ad with someone from your business delivering the message. Sponsoring these public meetings shows your support for citizen participation in local affairs, and lets viewers know that you care about local issues affecting our towns. Your ad will also appear on MRVTV.com, which has these programs available for viewing online and via mobile devices. A sample ad can be found at the beginning of this video. A 10-15 second ad will appear before local shows we broadcast on our SD and HD channels. The ad can be a “static” ad with your logo and copy or it can be a video ad with someone from your business delivering the message. Your ad will also appear on MRVTV.com, which has these programs available for viewing online and via mobile devices. 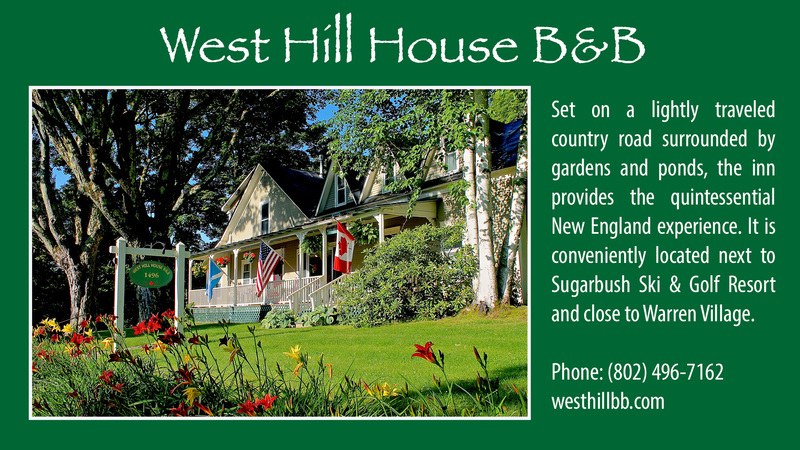 A sample ad can be found here. Every week your business will be tagged and thanked as a sponsor when MRVTV posts it’s upcoming schedule on Facebook. Gold Only 1 Package Available! A 10-15 second ad will appear at the beginning of a MRVTV YouTube video. The ad can be a “static” ad with your logo, copy and a voice over or it can be a video ad with someone from your business delivering the message. Sponsorship includes a link in the upper right hand corner of the video to a sponsor page on MRVTV.com, which can link to the sponsor’s website. 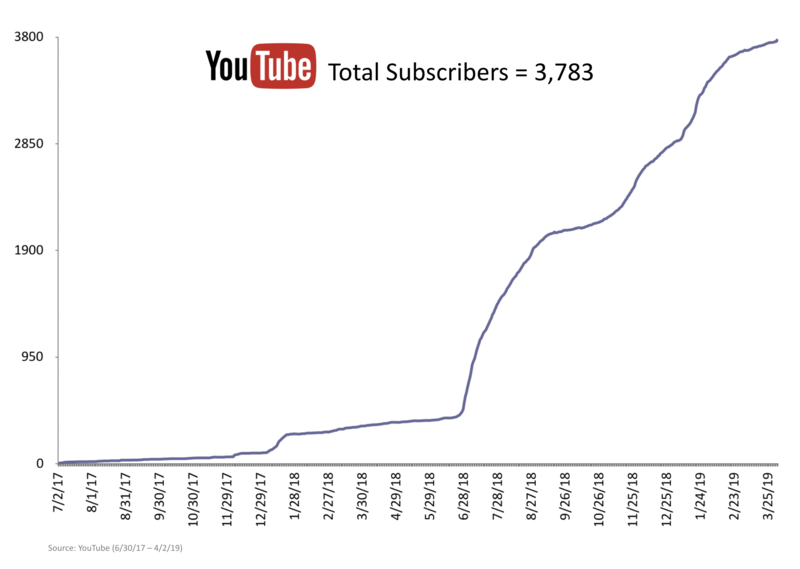 Please see YouTube audience data below. A sample ad can be found at the beginning of this video. Sponsor supplied logo appears in lower right corner for 20 minutes during a live stream event on the MRVTV YouTube Channel and two MRVTV TV Channels on Waitsfield Cable. Events could include a municipal meeting or music event. Sponsorship includes a link in the upper right hand corner of the live stream on YouTube to a sponsor page on MRVTV.com, which can link to the sponsor’s website. To see an example of a sponsorship, please visit our live webcam. 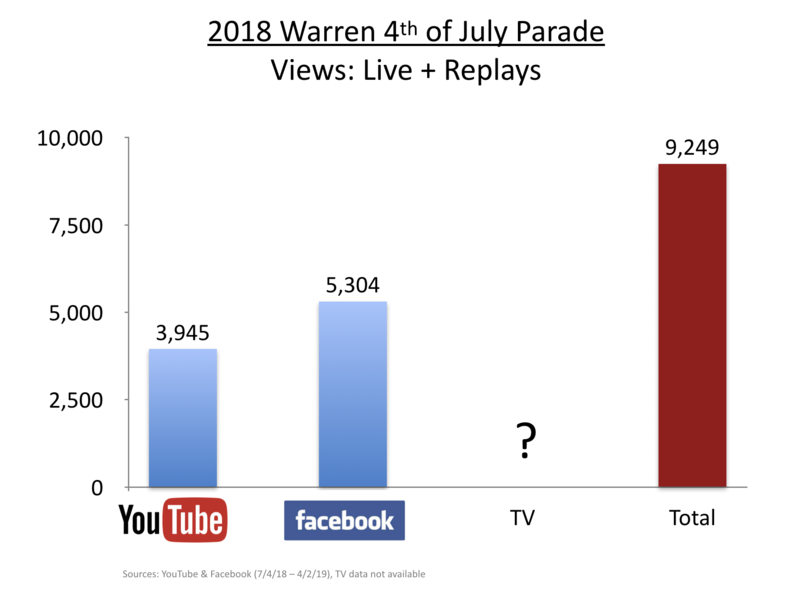 Sponsor supplied logo appears in lower right corner for 7-8 minutes during MRVTV’s live stream of the Warren 4th of July Parade. Two verbal mentions will also be made during the telecast. Parade will be broadcast simultaneously on the MRVTV YouTube Channel, Mad River Valley Chamber of Commerce Facebook page and Channels 44 and 244 on Waitsfield Cable. Sponsorship includes a link in the upper right hand corner of the live stream on YouTube to a 4th of July sponsor page on MRVTV.com, which can link to the sponsor’s website. 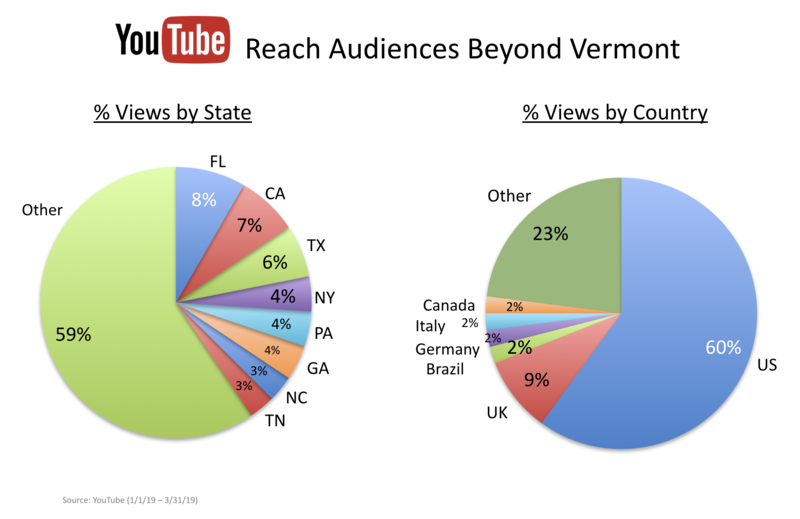 Please see audience data below. To see an example of a sponsorship, please view the replay of the live stream from last year's parade. 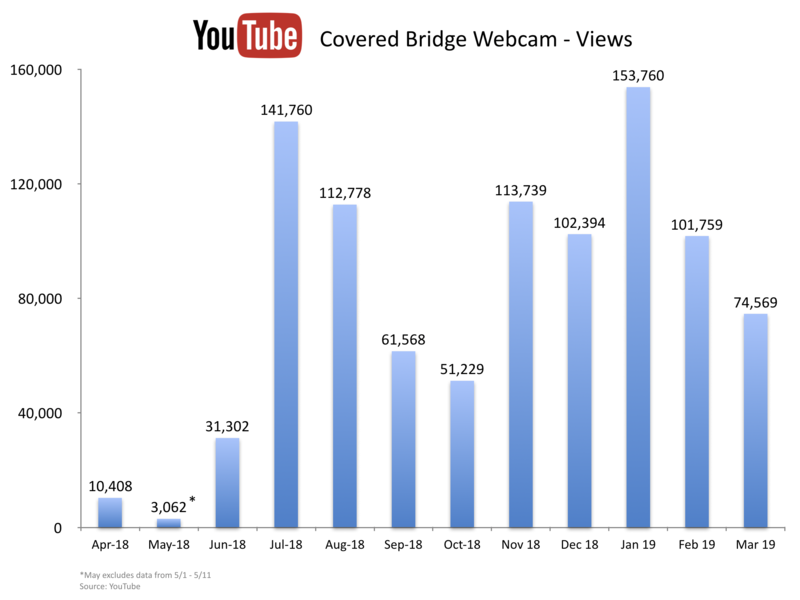 Sponsor supplied logo appears in lower right corner of the Waitsfield Covered Bridge live webcam on the MRVTV YouTube channel. Sponsorship includes a link in the upper right hand corner of the live webcam to a sponsor page on MRVTV.com, which can link to the sponsor’s website. Please see audience data below. To see an example of a sponsorship, please visit our live webcam. MRVTV will produce a 3-5 minute video for your business and make it available on the MRVTV YouTube channel. 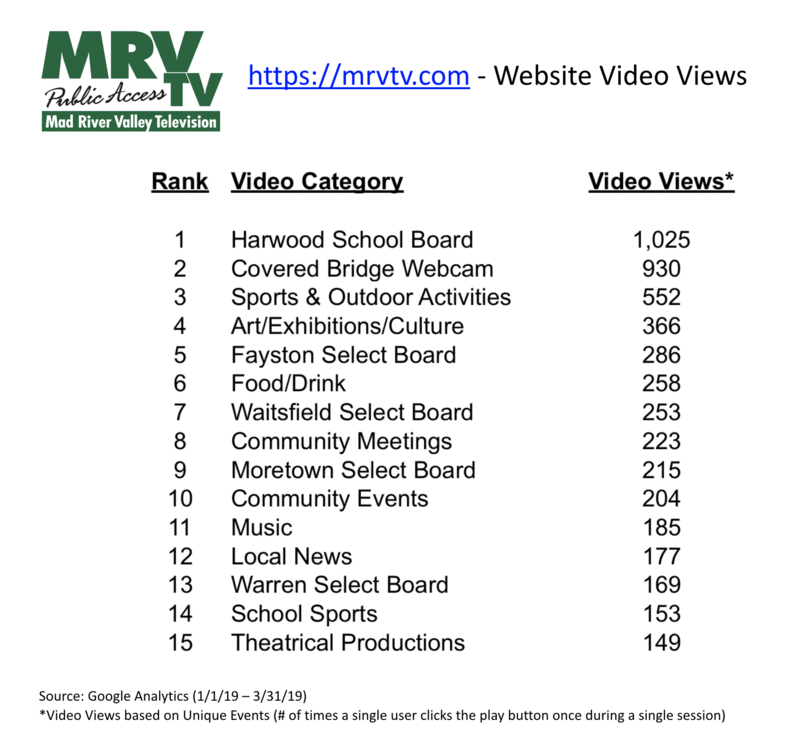 The video will also air on MRVTV’s SD and HD TV channels and appear on MRVTV.com, which will have the video available for viewing online and via mobile devices. 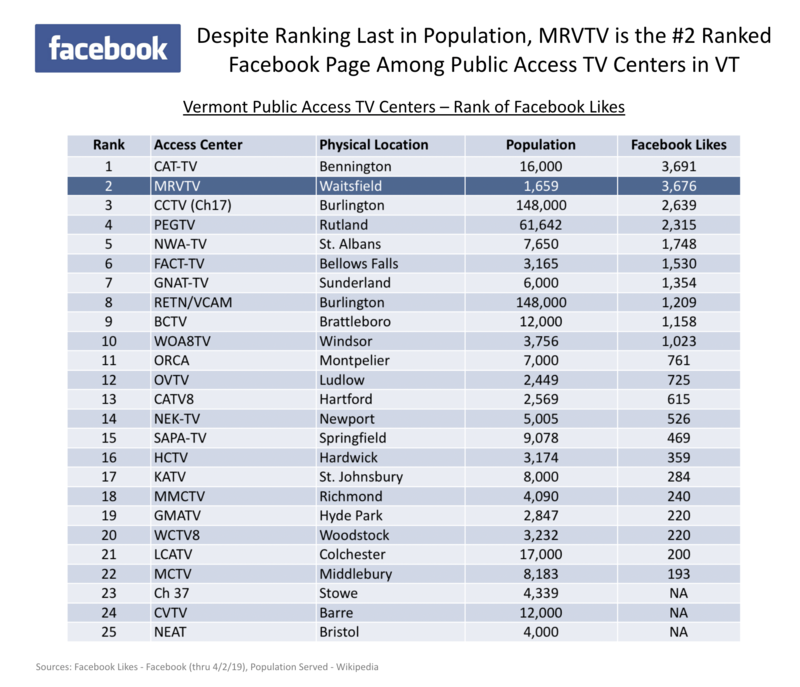 Additionally, MRVTV will syndicate the video to the Vermont Media Exchange (VMX), giving the 24 other public access centers in Vermont an opportunity to broadcast the video to their audiences. You can learn more about our production services and see examples of past projects here. Your business will be tagged 10 times on the MRVTV Facebook page. Company name, location, telephone number and web address. Established corporate slogan provided it is not promotional. Value neutral description of products and services. Vendor or trade names of products and services offered. Calls to action (“this is a deal you can’t pass up” or “come on down”). Inducements to buy or sell. 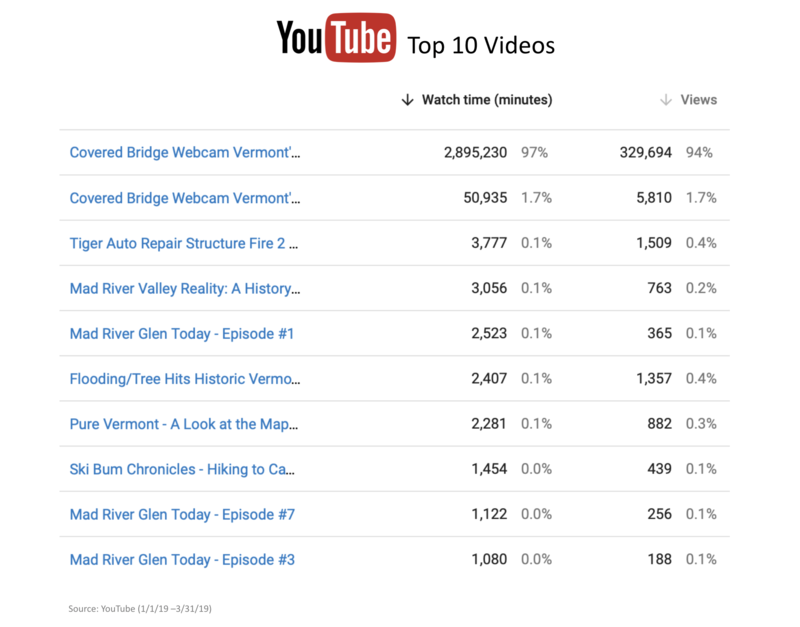 “This video is sponsored by XYZ business, serving the Mad River Valley for x years”. “XYZ business is a proud sponsor of public access TV and Mad River Valley TV”.